Not two words into this movie and I was laughing. Nothing like a random Bible quote that just happens to mention the name Abraham in it to get this preacher boy breaking out the chuckles. And it didn’t stop. Every lame historical reference. Every vampire cliche. Every modern action sequence translated to a mid 19th century setting. Every over the top fight scene that would have Zack Snyder think that it’s time to pull back a bit. This movie was a bloody mess of pure joy. Horse drawn carriages doing hand-break turns. People picking up wild horses during a stampede and throwing them at each other. Concealing a shot gun in the hilt of an axe. All of this comes together in one big crazy assault to the senses. It helps that this is some of the best 3D I’ve ever seen in a movie. The one thing that stopped Abraham Lincoln from being a truly great movie for me is that it never really makes the step into truly ridiculous. There’s something holding it back and therefore plays too safe. There needs that extra certain something to make this film transcend into pure, brilliant lunacy. That doesn’t mean that the whole movie falls apart. It’s just not as great as it could be. Describing the plot to AL:VH is really besides the point. You’re not watching this movie for deep characterisation or complicated plot twists. No, you go see this movie to see a historical figure killing undead creatures in increasingly bizzare action sequences. 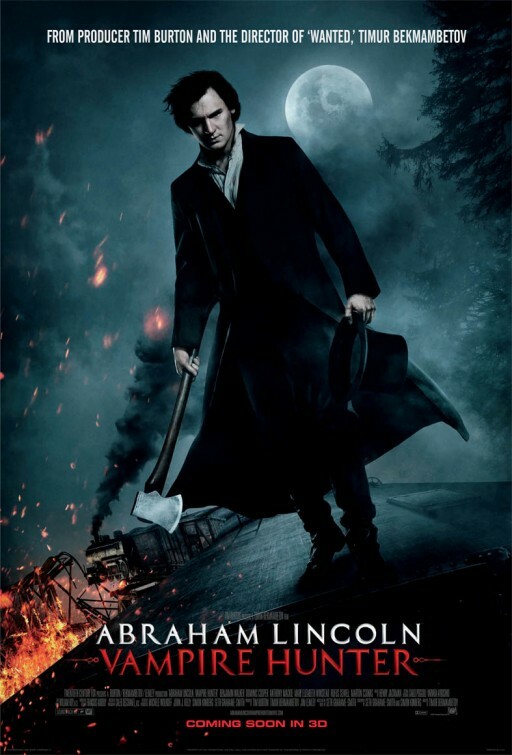 Why is Abraham Lincoln fighting vampires? If you’re asking that question, you’re obviously unaware that the American Civil War was fought to free America of the tyranny of vampire slave traders. Yep, slavery is so evil that only vampires would own and sell slaves. As he dons his trademarked hat and his silhouette walks through the door like a 19th century Batman, Lincoln is presented as a saviour figure. One man will step up against evil and fight it to his final breath. He seeks to save us from that which enslaves us. Freeing black people from vampire slavetraders is one thing. But it’s only a shadow of the freedom that has been won for us through Christ. “Because you are sons, God sent the Spirit of his Son into our hearts, the Spirit who calls out, “Abba, Father.” So you are no longer a slave, but a son; and since you are a son, God has made you also an heir.” (Galatians 4:6-7) Jesus has rescued us from the slavery of sin. He has not only freed us, but welcomed us into the family of God. I’ll take membership in God’s family over freedom from vampire oppression any day. 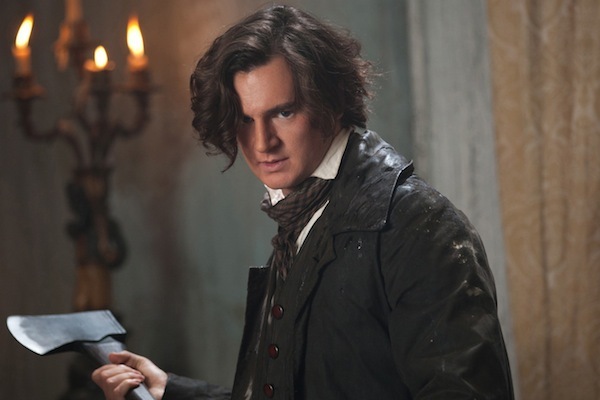 Abraham Lincoln: Vampire Hunter is an enjoyable movie, IF you go in with the right frame of mind. If violence and horror are not your thing, you will not enjoy this movie. This is an MA rated movie, so expect a lot of blood. Though surprisingly the blood errs more on the side of theatrical, almost cartoony rather than gore and guts. To get the most out of the AL:VH here’s what you should do: go see it with a bunch of mates who have the same sense of humour as you. And then give yourselves permission to laugh. Don’t even try and take this seriously. Instead, embrace the insanity and enjoy.